Alibaba Pictures confirmed that it has invested an undisclosed amount in Chinese celebrity blogger-turned-film director Han Han’s Shanghai Tingdong Kuntilanak Film. 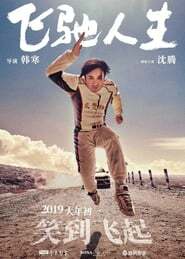 Han’s upcoming “Pegasus” is one of the most anticipated films of the year in China. Alibaba Pictures, part of e-commerce giant Alibaba, is now the second-largest stakeholder in Tingdong. It has a 13.1% stake, according to Chinese Change in the Air finance publication Caixin.